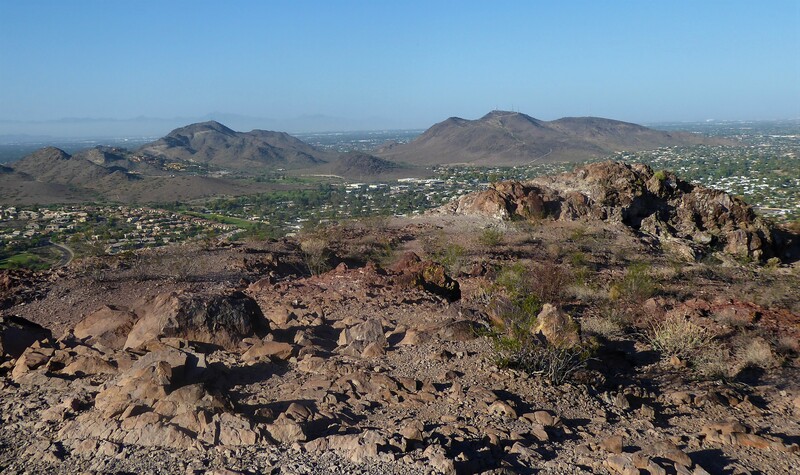 The Lookout Mountain Summit trail is a short but hearty hike up to the peak of this friendly neighborhood mountain. 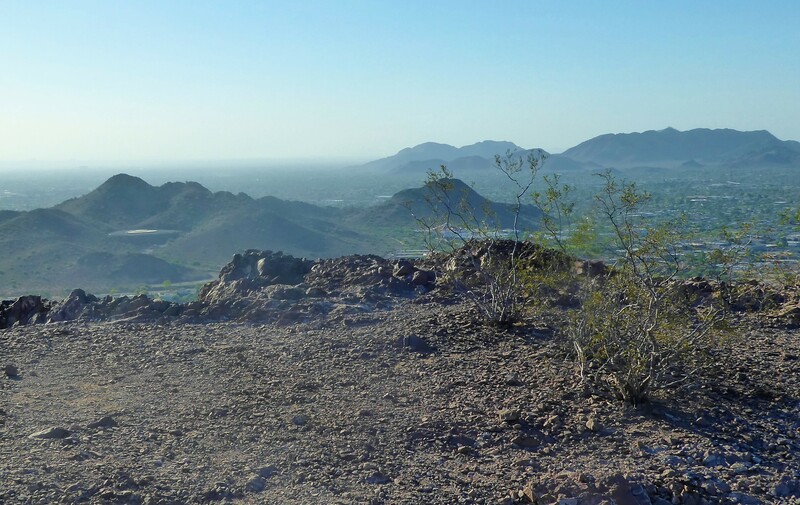 While shorter than its taller cousins of Piewesta and Camelback, this trail is less crowded and offers hikers a sense of peaceful and tranquil experience upon the summit while gazing out at the impressive view. Roundtrip, the summit trail is just over a mile long. Although there are more neighboring trails that offers hikers choices of a multiple of routes they can take if they wanted to add on additional distance. 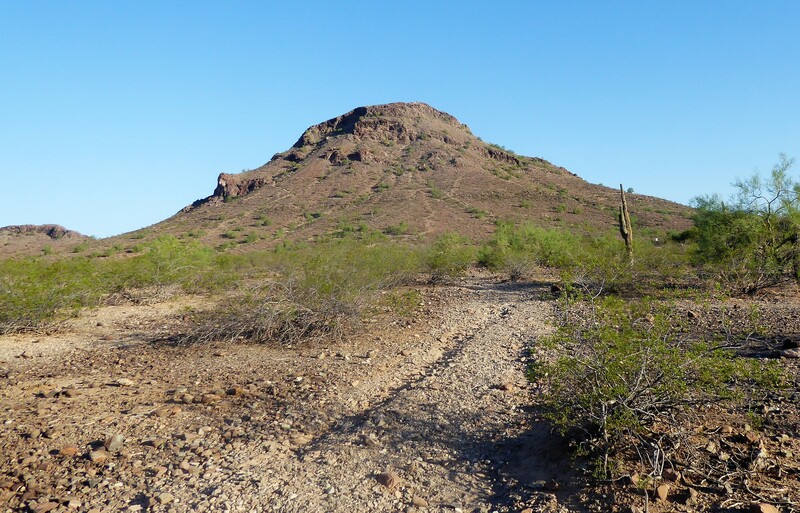 This trail is also incorporated into the Phoenix Summit Challenge, which is a yearly event that tests hikers endurance by hiking up to 25 miles and 7 Phoenix summits in one day. Lookout Mountain has two parking locations. On the East side of the mountain, you will find the Lookout Mountain Park and to the North, is Lookout Mountain Preserve. 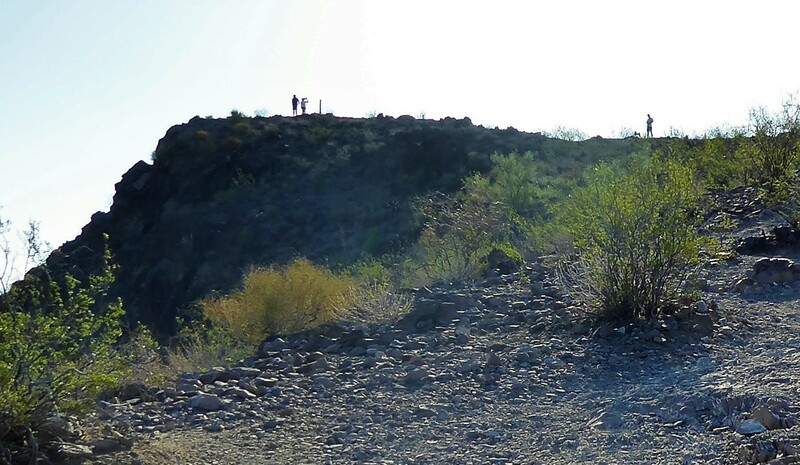 If you are only interested in the actual summit trail, then you will need to park at Lookout Mountain Preserve and follow the trail up the 0.6 miles up to the summit towards the right of the parking lot. 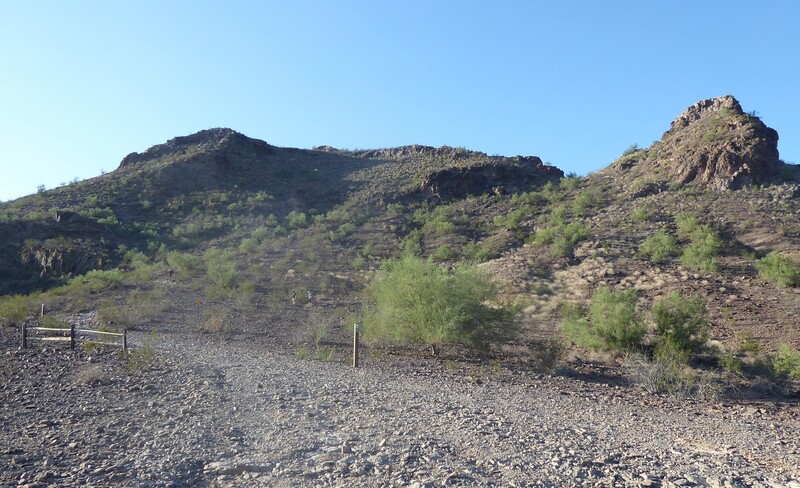 This trail write-up, follows along the route that is used when completing the Phoenix Summit Challenge (beginning at Lookout Mountain Park). The total for this trail path is just shy of about 3 miles. From the parking lot heading towards the mountain your heart will be pumping as the route inclines up towards the base of the mountain. It’s one of those gradual increase that doesn’t look that bad, but until you are actually hiking it you will realize that it’s inclining. Follow this dirt path up until you’ve hit the circumference trail. There is no sign indicating that it’ll be the circumference trail, but it is the only trail there. Begin the circumference trail by heading towards the right (North). As you continue along this portion of the route your heart rate will slow down, as now you are just gliding around the base of the mountain. You will pass by the surrounding neighboring houses, that get this amazing view of Lookout Mountain every day. Due to these neighboring houses, it still feels like you are in the city. At first it feels like you’re just walking on land behind some houses. But, as you make your way north and at around 0.9 miles you’ll see the parking lot for the Lookout Mountain Preserve. It’s here that the route will turn towards the left and onto the Summit trail. 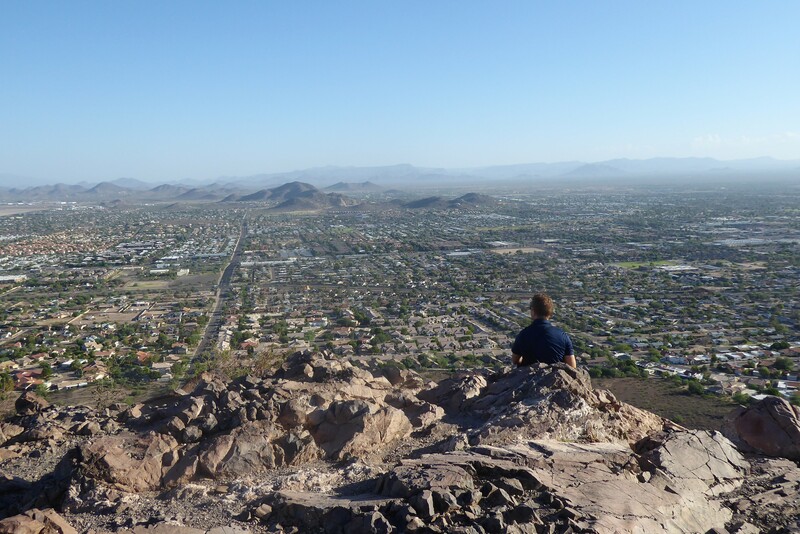 From this moment on….you’ll forget all about the city being right behind you. Because this trail is going to make a drastic turn. After the parking lot, follow the signs for the summit trail (#150) towards the left hand side. The trail begins by taking you up some steep switchbacks on loose gravel. Unless you have complete calves of steel, you will feel the burn! 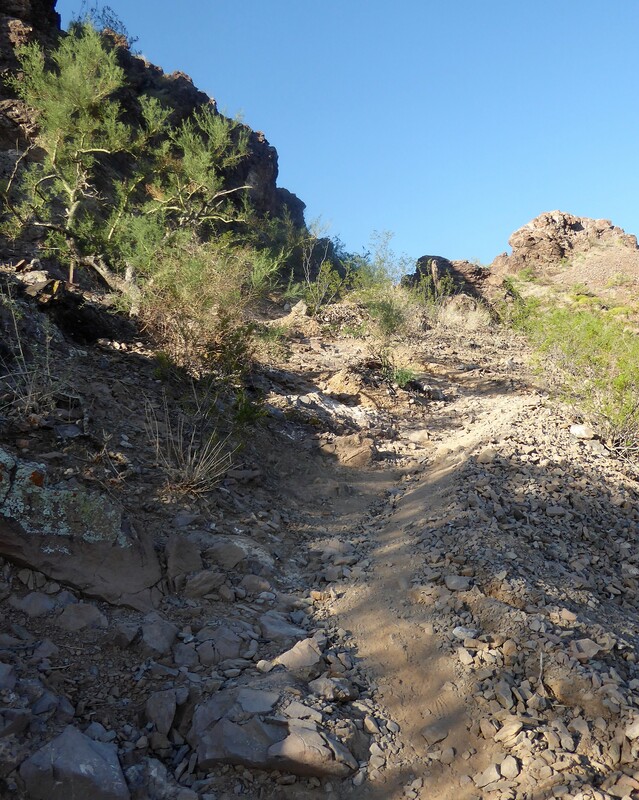 At around a total of 1.25 miles the switchbacks will dwindle away and a little bit of scrambling is required. First, you will notice a trail sign indicating to go to the left. Now, this is the part I think no one on Lookout Mountain knows where to follow, including myself. If you look towards the right before the sign, there is a trail of gravel that looks purposefully there which leads you up some boulders to scramble. 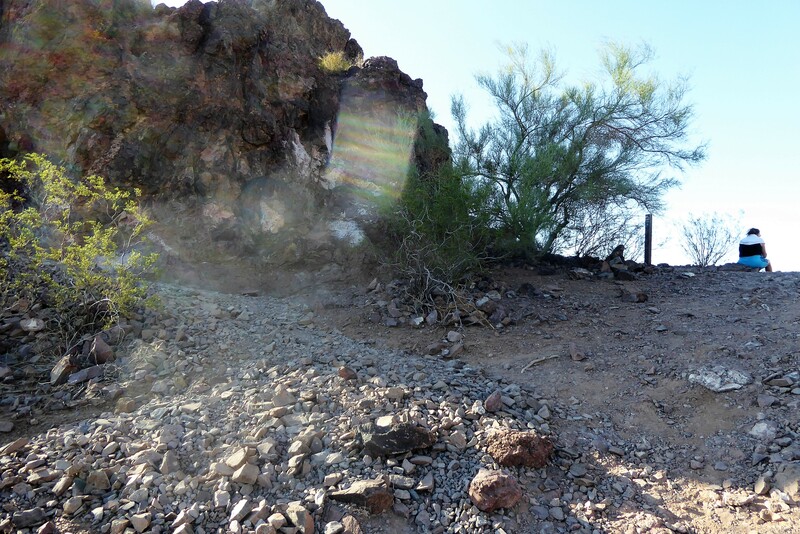 Or if you go up to the sign and turn right, you will also notice some rocks to scramble up. Which path is the right way? I have no idea! But either way will lead you to the same spot. I personally prefer turning right just before the sign onto the gravel path and then scrambling up. Or, if you know the official route, please comment below and let us know. 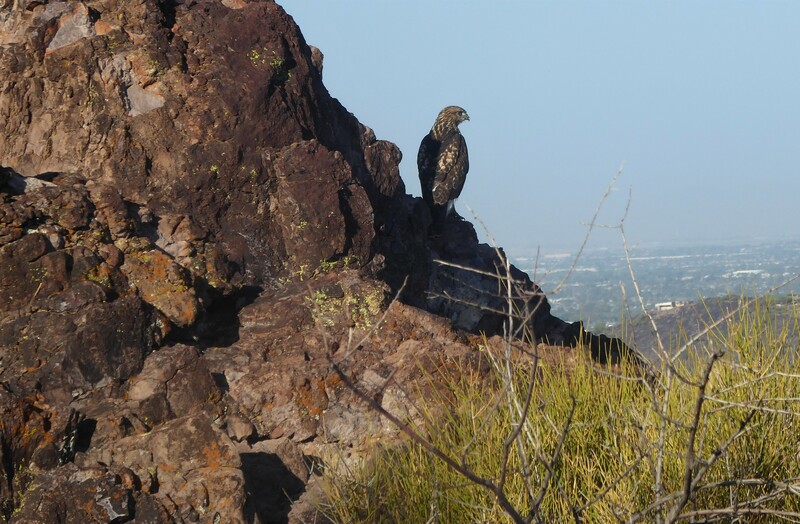 Also, it’s not uncommon to see birds, including falcons flying around and landing upon the mountain, keeping their eyes on you. Because there are no clear markers or any indications of where the trail is while scrambling up and down, can feel a little intimidating. But, this is also where the hiking adventure comes in because it’s up to you to figure out the path best for you. Likely, there will also be other hikers along this portion so if you feel unsure just ask someone or watch what they do. Once up this scramble section you will be able to see that you are close to the summit! Just a few more steps and you’ll be perched right up on the top! There are a few areas where you can find your own spot to relax and take in the views. Seeing as how this trail is uncrowded you’ll likely be able to enjoy some quietness and solitude up there.